Jeff and Anne Ingram have been planting churches in Germany for over 16 years. They have been in Dresden for the last 4 years, planting 2 churches. They meet in homes and rent meeting spaces when needed. While establishing church leadership occupies a lot of their time, they also teach through alpha course and volunteer at the local refugee center. Recently, the Ingrams were featured in a local paper. Jeff was quoted as saying: "We see ourselves not only as a church for Christians but also for people who do not know God and are looking." Since then, strangers have approached them with interest in their churches and in their beliefs. TEAM's Mission: "Mobilizing disciples from anywhere to serve everywhere, we focus strategically and collaboratively to plant churches where the most need exists. We employ technology and other material resources to help us be the hands and feet of Christ, but we are unashamedly incarnational, because we believe there is no substitute for real hands and feet on the ground." Germany is among the most atheistic countries in the world, according to the Washington Post. There are only 1,740,880 evangelical Christians in Germany. That's 2.1% of the German population. There are 12,507,182 evangelical Christians in Uganda, which has less than half of the entire population of Germany. That's 37% of the Ugandan population. 11,558,344 people in the Philippines call themselves an evangelical Christian. That's 17% of their population. Even 5.7% of the population of China (75,399,270) call themselves evangelical Christians. The US claims 91,764,554 evangelical Christians, which is 28.9% of our population. Islam is the fastest growing religion in Germany. It's not because of limited access to biblical materials. after 15 years, the "subculture" of young people became adults. The former East Germany is officially one of least religious places on the planet, with more than half of people living there saying they do not believe in God. "Atheism ranges from 52% in the former East Germany to less than 1% in the Philippines. Is Germany too powerful for Europe? Twenty years ago, Germany's economy was stagnating. Today, as the eurozone crisis deepens, this giant is keeping Europe afloat. But what does it want in return? Thousands of people gathered in Dresden on Thursday night to remember the destruction of the city by Allied bombers in World War II. For the first time in more than a decade neo-Nazis stayed away from the memorial. More than 7,000 opponents of Germany's policy towards asylum seekers marched in the eastern city on Monday evening. German Chancellor Angela Merkel said on Monday Islam "belongs to Germany", in a clear repudiation of anti-immigration protesters gathering in Dresden and other cities. For the past seven Mondays, people have taken up the battle cry of East Germans protesting their Communist government 25 years ago — “Wir sind das Volk!” (“We are the people!”) — and fashioned it into a lament about being overlooked by political leaders of the present. 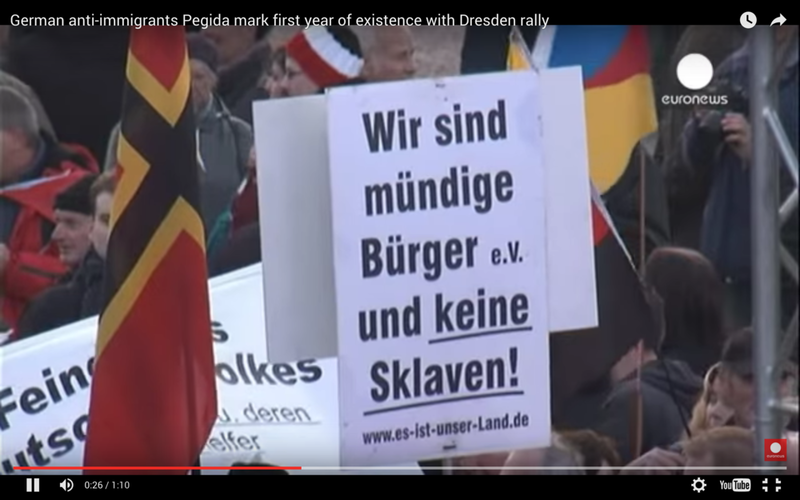 Around a third of Pegida members are “far-right nationalist xenophobes”, a study from the Technische Universität (TU) Dresden published on Tuesday found. An asylum camp set up in front of Dresden's Semperoper opera house has been cleared. Refugees and supporters moved just a day after radical PEGIDA members and neo-Nazis attempted to storm the site. Every Monday evening in Dresden, thousands gather in front of the city's opera house. 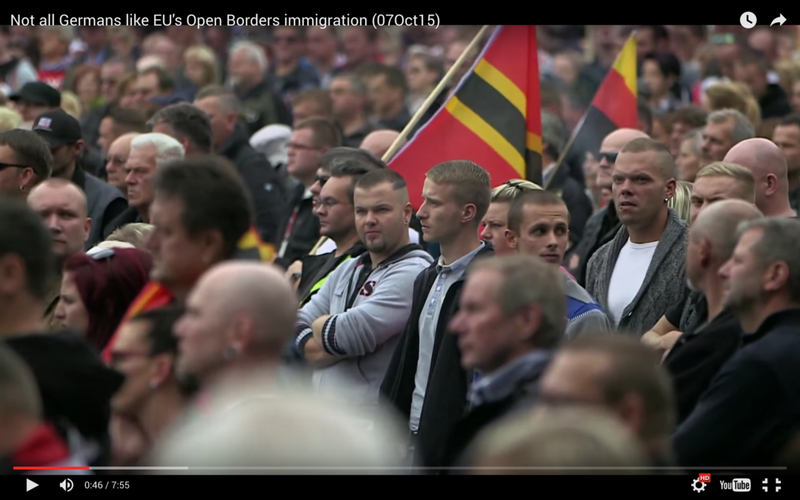 They carry German flags and sing nationalist songs with one goal: to stop refugees and migrants from coming to Germany. 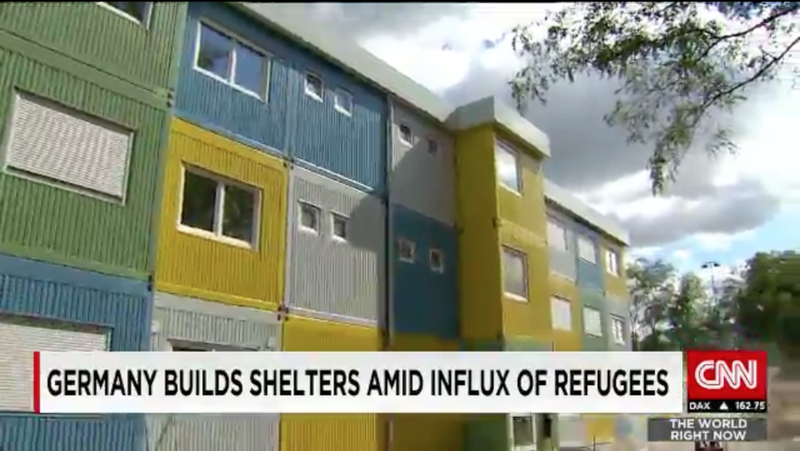 More than 6 billion euros ($6.8 billion) will now be set aside to house and care for 800,000 new refugee applicants this year. 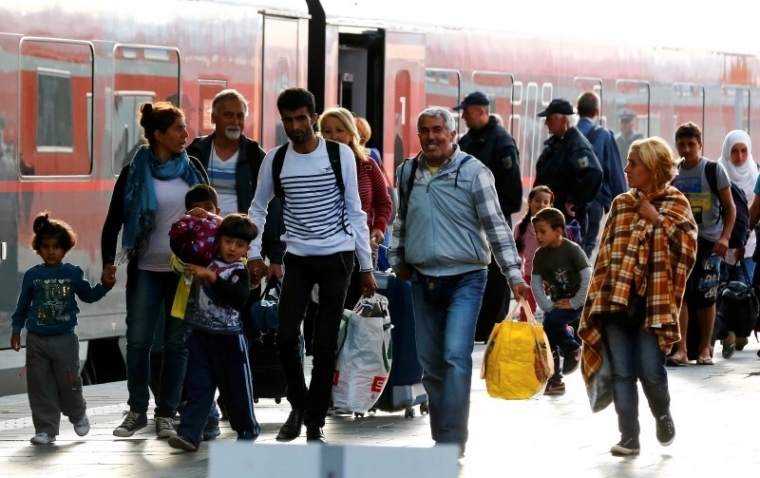 Germany may even take in another 500,000 for several years to come. "There can be no tolerance of those who question the dignity of other people," she said, standing in front of placards accusing her of being the people's traitor. Thousands of people took to the streets of the German city of Dresden on Saturday to send a message of welcome to the refugees after a string of violent anti-migrant protest in the region. Pastor Gottfried Martens has seen his congregation at The Evangelical Trinity Church grow from 150 to more than 600 in just two years, describing the number of conversions as a 'miracle,' according to associated press.